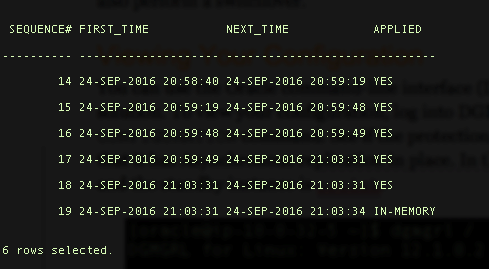 To check whether the standby database has been set up and the logs are in sync, log in to the primary database and force a log switch. This creates an archived log that is shipped to the standby database. 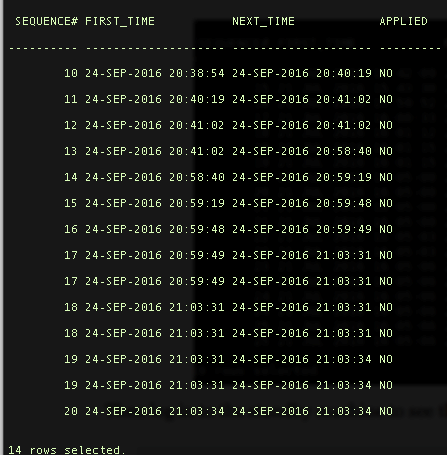 Then log in to the standby machine to see the applied logs generated.